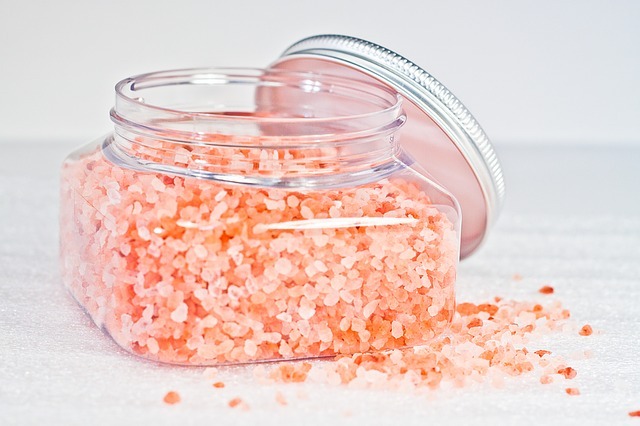 Himalayan Pink Salt, (HPS), is known to be the most pristine form of salt available on Earth. It is naturally acquired from the Khewra Salt mine in the northern mountainous region of Pakistan, about 186 miles from the Himalayas. The Khewra salt Mine is the second largest salt mine in the world. HPS is hand mined and hand selected. No machines, mechanical devices or explosion techniques are used to mine. After selection, it is hand crushed, hand washed with water and dried in the sun. Its natural amount of minerals: iron oxide, potassium, magnesium and calcium give this salt its light pink color. There are no additives combined with it. This salt remains in its natural state. There is no scientific evidence that HPS has better health effects than regular table salt, but there are differences between them including: taste, texture and processing. Table salt is heavily processed, stripping away important minerals and nutrients, leaving sodium and chloride in an unnatural form. It has a fine texture and is white in color. Anti-caking agents are added to table salt. Table salt is "artificially" iodized. Iodine is an important chemical element since the body needs it but cannot make it. Himalayan salt contains slightly lower amounts of sodium than regular salt. Table salt has approx. 97% - 99% sodium chloride vs. HPS approx. 87% sodium chloride, the remainder being healthy minerals and elements. HPS comes in different grains: powder, extra fine, fine, medium, coarse, chunks, blocks, slabs. It has numerous uses from nutrition and cooking to therapeutic purposes. COOKING/SEASONING/PRESERVING: Himalayan block salt slabs are used for cooking. They retain hot and cold temperatures evenly. They add a delicate flavor to food. They are antimicrobial and easy to clean. Heat thin cuts of meat on the grill or chill cheese or fruit in the refrigerator. Freeze cold desserts or sorbets. Salt blocks are also used as serving dishes and cutting boards. EAT: Always use clean and pre-ground salt. The American Heart Association recommends no more than 2,300mg a day for most adults, but an ideal limit of no more than 1,500 mg per day. Caution! Those with sodium restricted diet, kidney, heart or liver issues should monitor and limit uses of all salt, including Himalayan Pink Salt. People in good health should monitor sodium intake, as well. Add to your bath water and let the process of osmosis take place. Eliminate toxins from the body for minerals in water. Strengthen the body. Improve mineral status of the body. PURIFY AIR/REDUCE ALLERGENS: Salt lamps come in various sizes and shapes. Some come in decorative baskets and others stand alone on a decorative base. Some claim they may improve air quality by attracting water molecules in the air. Water molecules in the air can hold allergens, bacteria and other pollutants. 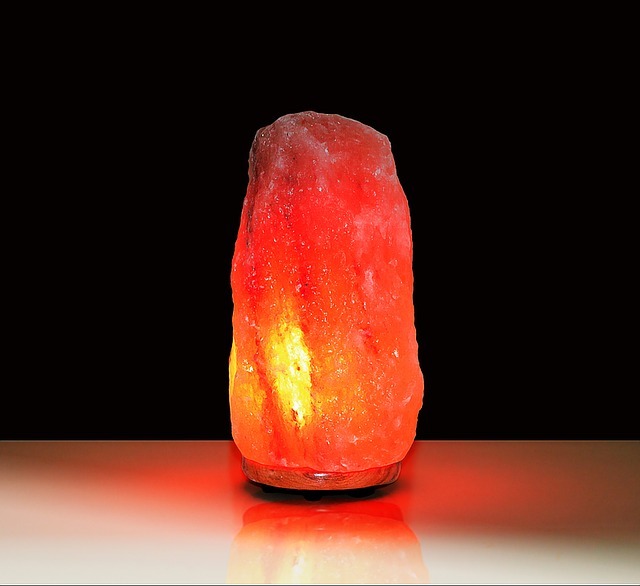 The heated salt lamp dries out the water vapor, leaving particles attached to the salt. For this reason, it is recommended to wipe down the salt lamp periodically. Rough surface salt lamps are more effective at improving air quality than smooth polished surfaces. Salt lamps are known to produce small amounts of negative ions in the air. Nature creates negative ions in lightening, sunlight, waterfalls and ocean waves. The greatest source of negative ions is running water. Positive ions are created by electronic devices: TV, microwave, computer, vacuum cleaner, etc.. Why is all of this important? Positive ions can add to allergy, stress and sleep problems while negative ions neutralize positive ions, cleansing the air instead. BOOST MOOD and ENERGY: Salt lamps have a soft, soothing, colors: orange, blue, purple, green. Some lamps have dimming switches. Use a heat producing bulb, not an LED bulb.